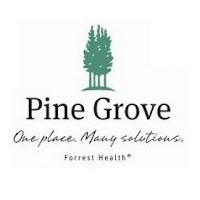 Since 1984, Pine Grove Behavioral Health & Addiction Services has partnered with individuals and organizations throughout the country to provide specialized and comprehensive evaluations for behavioral health and addictive disorders. Now, Pine Grove's Evaluation Center is proud to offer Adult Attention-Deficit/Hyperactivity Disorder (ADHD) and Neuropsychological Evaluations. The Adult ADHD Evaluation aims to rule-out other potential causes of educational, vocational, or personal impairments resulting from concentration or focus difficulties, impulsivity, emotional liability, as well as deficits in executive functioning and memory. The Neuropsychological Evaluation is a comprehensive assessment of brain-mediated cognitive functions. The data from a neuropsychological evaluation is used to assess an individual's current level of cognitive functioning to determine the presence, nature, and degree of persisting cognitive and emotional deficits, establish the probable relationship between the patient's current neurobehavioral status and medical history, and evaluate the functional significance of such deficits. Pine Grove's Evaluation Center also offers an Addiction Evaluation, Comprehensive Evaluation, and Psychosexual Evaluation.